John, a man in his early thirties, loves to interact with others, is adventurous, and has a great sense of humour. He also has an acquired brain injury and as a result has experienced significant loss of things he could once do. This injury prevents him from independent living and he now receives support in an extended care facility. Though he is not able to communicate using speech, he definitely indicates his preferences for food, activities, and even who he wants around. Music is no exception. It was certainly a part of his life prior to the injury and is something he continues to appreciate. 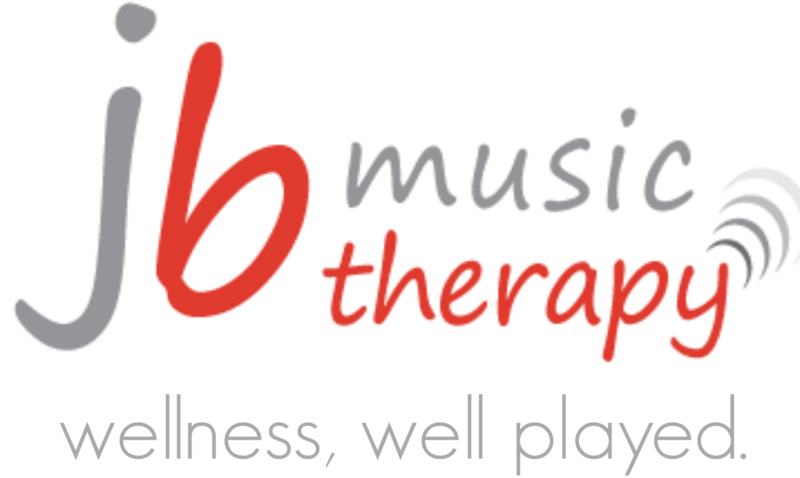 During our music therapy sessions, John makes choices about what songs he would like to hear and does so now with greater clarity than during initial sessions. U2, Radiohead, and Coldplay make the list and even Leonard Cohen’s Hallelujah. Country, however, is not a favourite. When music John enjoys is shared he responds to nuances in the lyrics with changes in his facial expressions and posture, and even laughter at times. The music has motivated him to also work on gaining greater mobility in his hands and arms by strumming the guitar. As the sessions have progressed so has his strength and endurance. Music is not only a way for John to interact and share who he is, but it is also a motivator for growth and recovery.